Why is it important to have realistic social media expectations? Having the right expectations will help you create realistic goals. Common goals for financial advisors include establishing themselves as thought leaders, building brand awareness, creating a positive brand association, acquiring clients, and improving interaction with key audiences. When you understand how social media works and how it fits in with your business, you can avoid thinking social media is not for you just because you are not getting the results you thought you would. Many advisors who decide to add social media to their list of prospecting tools don’t consider that it is a part of their overall marketing strategy. This leads to expecting unfeasible results and not approaching social media like any other marketing effort. In reality, social media is = an extension of your overall digital marketing efforts. Whether that includes updating your website with content that converts visitors, using search marketing or pay-per-click ads, social media is a supporting member. When you see social media as a part of your overall marketing strategy, you become more patient with the process and open to finding what works for your brand. There is a common unrealistic expectation that financial advisors have when they start using social media: They expect prospects to swarm in once they’ve churned out a couple of posts. The reality? That’s not how it works. Especially in the financial services industry — no one wants to give a stranger his or her money to manage. Social media is a place to build confidence and establish authority with prospects before moving on to securing business. In short, success on social media requires relationship building. Now you have the right mindset, how do you come up with the right goals? What are you hoping to achieve through social media? Where do they hang out on the web? What key messages do you want to communicate? To not expect regulatory restrictions to guide what can and cannot be posted on social media is to forget what industry you are in. Many financial advisors are only permitted by compliance to use LinkedIn, Twitter, and Facebook. While this might sound limiting, the average person has 5-7 social media accounts according to brandwatch. So it’s likely that your prospects are on at least one of the social channels you are using. Consider how your prospects might use each channel for (e.g. using Facebook to see family updates) and craft your social media posts accordingly. This post on knowing your audience and marketing to them has some great tips to help you understand your audience better. 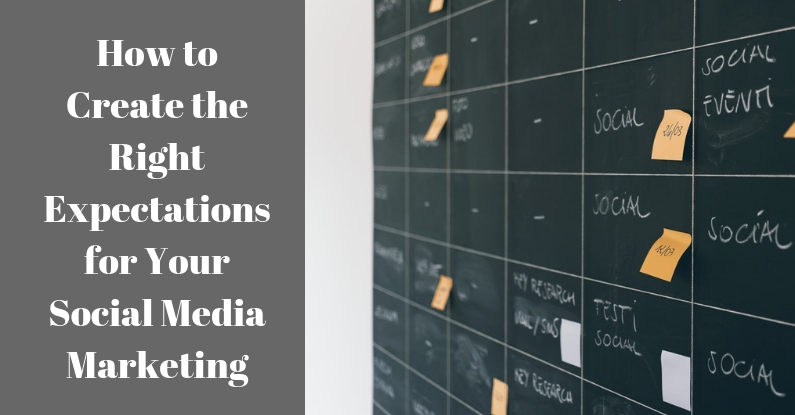 So how can you make sure you’re creating the right social media goals? It begins with having the right mindset and setting realistic expectations. Through social media, you can help prospective clients identify themselves as a good fit for you and vice versa. And finally, keep in mind that it isn’t always about asking for a prospect’s business: It is about providing relevant information through content and interaction.